On March 30th, we’ll be transforming SOMArts Cultural Center into a dessert lover’s paradise, where the best confectioners in the Bay Area will showcase their unique creations. 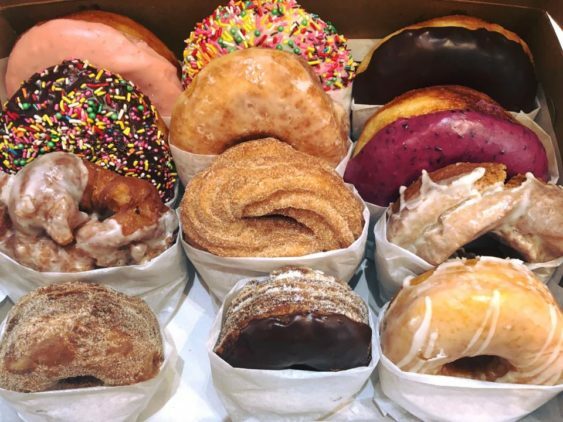 From Three Twins’ mini ice cream sandwiches to Johnny Doughnuts’ 10-foot doughnut wall, we’ve got your sweet tooth covered. And yes, there will be booze. We’re offering a selection of cocktails and mocktails to pair with the parade of sweets coming your way. Attractions will also include a photo booth, DIY stations, music, coffee, and more. Join us for this real-life candy land. Sorry! The contest for SweetSpotSF: Dessert Festival | SOMArts Cultural Center has ended.